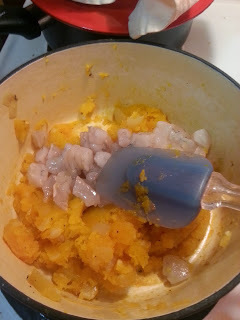 This recipe is really tasty, not at all expensive, and easy to boot! used safflower this time) and throw in onions, garlic, sambal oelek, salt and pepper. Saute quickly and then lower temperature to low, and cover. Allow the onions to "sweat", stirring occasionally, until they're turning a little translucent. Don't allow them to brown. 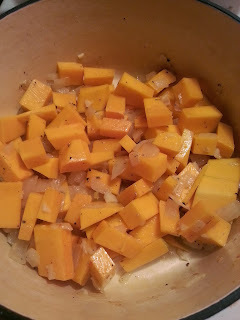 When the onions are finished, raise the temp to medium-low (depending on your oven) and add the winter squash cubes, and cover again. Stir every 5 minutes or so, helping the cubes along as they break down. 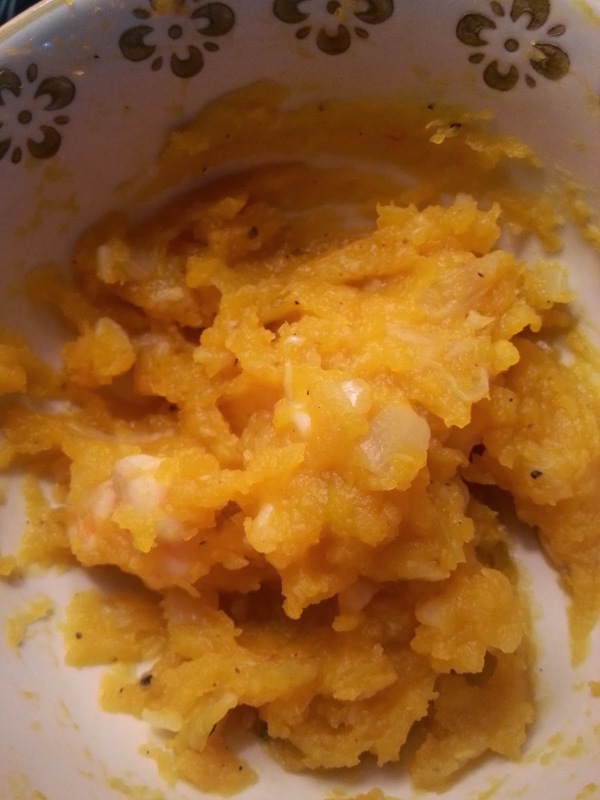 When the squash is nearly cooked, add the shrimp, and fold it into the squash. Cover and cook for about another 5 minutes, or until all the shrimp have turned white and pink. If there's any grey, or if they appear translucent at all, they're not quite cooked. This recipe re-heats really well, just be sure not to over-heat it, so that the shrimp don't overcook and get tough.